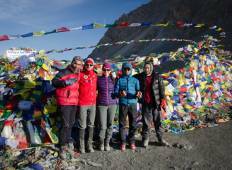 Find the best Himalayan Trekking & Tours Nepal trips. 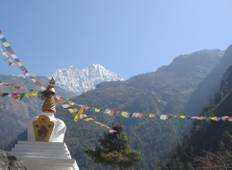 We've got 10 tours going to Nepal, starting from just 9 days in length, and the longest tour is 20 days. The most popular month to go is May, which has the most number of tour departures. "Nepal has a slogan "Naturally Nepal once is not enough" I agree with this slogan..."
"Like everyone, I also have my own bucket list and one of them is to explore the snow-covered..."
"It's our second trip with Himalayan Trekking and Tours company, every time they organized..."
"Surya is the real deal. My wife and I completed a private (just two of us) Annapurna..."